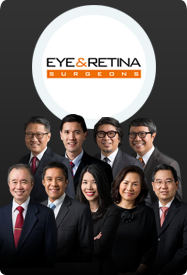 Eye & Retina Surgeons is a brand new, state-of-the-art specialist eye practice which brings together 7 of Singapore’s leading ophthalmologists with over a century's collective experience in providing quality eye care. We have equipped the clinic with the latest high-tech diagnostic instruments and therapeutic lasers. This synergy of experience, expertise and equipment together with our dedicated nursing and technical staff means that we are able to provide the highest levels of modern eye care available anywhere in the world. Our strengths are our collective wisdom and experience, our specialised training, adopting a team approach, and a strong determination to provide the best and most up-to-date eye care possible, without compromise. Our mission statement encapsulates what differentiates us from others: our team of dedicated and highly skilled surgeons, trained ophthalmic nurses and optometrists shall strive to Enhance, Restore & Sustain your Vision through a passion to provide world-class diagnostic and surgical eye care using the best available technique and equipment. 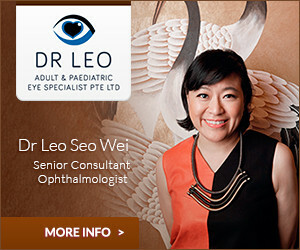 Let Eye & Retina Surgeons, your trusted eyecare professionals, Enhance, Restore & Sustain your vision.